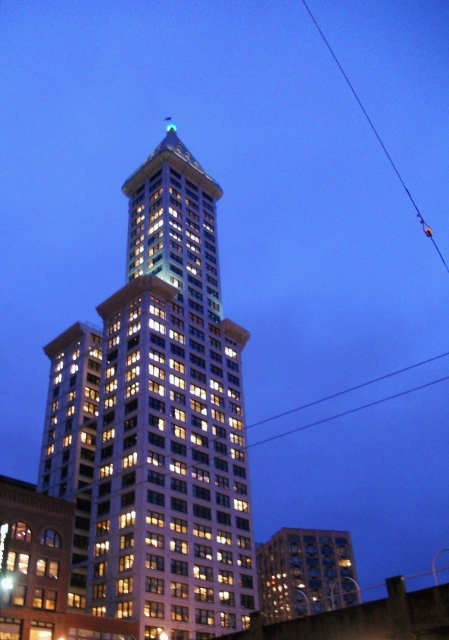 This hundred year old building was Seattle’s first skyscraper as well as the tallest building on the West side of the Mississippi for decades. This entry was posted in Daily Loaf, On the Roll (Urban Exploration) and tagged architecture, exploration, photography, Seattle, skyscraper, smith, tall, tower, Urban by acc1313. Bookmark the permalink. Finally visiting your website! 🙂 I love all of the interesting photos. I wonder if you could offer more insight on the historical background of some of the things you find (if possible)? Anyways, just wanted to say hi! !